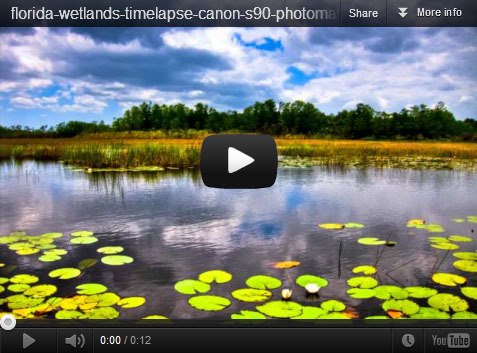 This is a single exposure HDR timelapse I did while I was out photographing birds. This was taken at one of the wetlands in Palm Beach County using a Canon PowerShot S90 with the CHDK hack. With the hack I was able to shoot in intervals to get my timelapse sequence. This was only a test to see the quality of a single exposure RAW image.